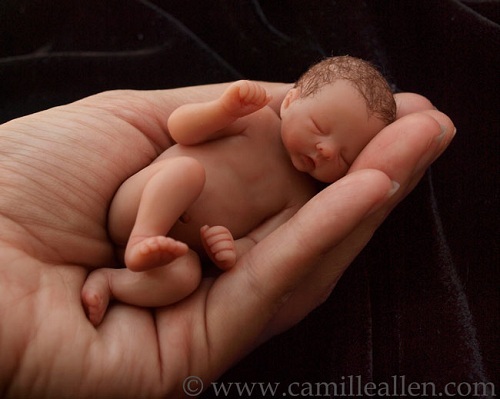 Weird Wonderful Web: Amazing mini sculptures of babies! There's a good chance you've already seen pictures of these babies in various emails and forums, with often strange stories attributed to them. "The babies are NOT made of Marzipan, icing, chocolate or soap; they are not edible. They are NOT real premature babies." 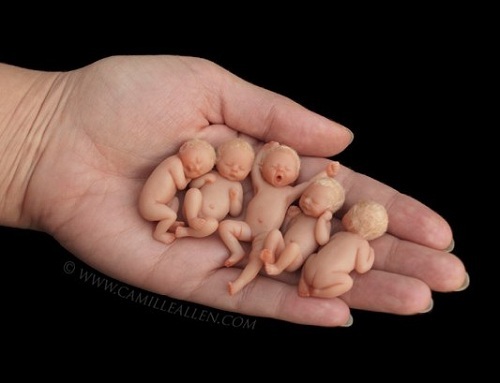 In fact these amazing babies are sculpted by artist Camille Allen out of polymer clay or resin. These pieces take many, many hours of pain staking work to get the fine details into such a small amount of workable material. Complete with wrinkles, fingernails and baby hair made from English mohair. The best thing about these sculptures is you can actually own them by buying direct from the artist herself via her website. Although most of the babies pictured here are one-offs and mostly sold already, there are plenty more to buy. Prices do vary though of course; One-of-a-kind sculptures range from between $300 - $5000 US dollars. 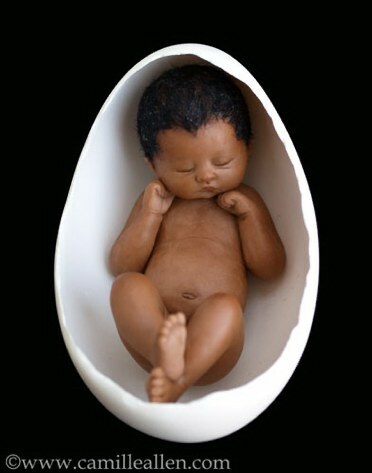 While Resin Replica Limited Edition Babies can start from around $99. Although the artist says on her site that she is planning on "expanding to different lines of babies that will be available in more price ranges." Related old post: Oh, ya big baby!